North Carolina offers only two grounds for divorce: one year’s separation or insanity. Though almost all divorces are based on separation, you and your spouse can create a separation or settlement agreement before or after you split up to address property issues or other terms of a divorce. Once you sign a separation agreement, it is legally binding as a contract, but you do not actually have to file for divorce a year later. Even if you remain separated after the year is up or get back together with your spouse, your separation agreement remains a legally binding contract. Signing an agreement is the most common way for spouses to separate in North Carolina, but you can also petition the court for a “divorce from bed and board” under some circumstances. Divorce from bed and board is similar to legal separation in many ways. It allows a judge to decide property distribution and other issues without actually terminating your marriage, but it is not available under all circumstances. You must be able to establish evidence to prove one of six fault-based grounds, including abandonment, cruel treatment or adultery. If you qualify for divorce from bed and board, the judge can split your property and even force you or your spouse out of your marital home. Unlike other states, North Carolina allows spouses to divorce without first resolving property settlement issues. If you and your spouse cannot reach a settlement agreement, you can still obtain a legal divorce, but during the divorce proceedings you must reserve the right to revisit property settlement issues after the divorce. If you do not ask the court to decide property issues later, and they are not decided during the divorce proceeding, you lose the right to go back to court and ask for a property division order later after the divorce is final. If you and your spouse ask the court to divide your property, it will use its judgment to make an equitable distribution. This does not necessarily mean an equal split, though most judges favor equal divisions of property in most cases. 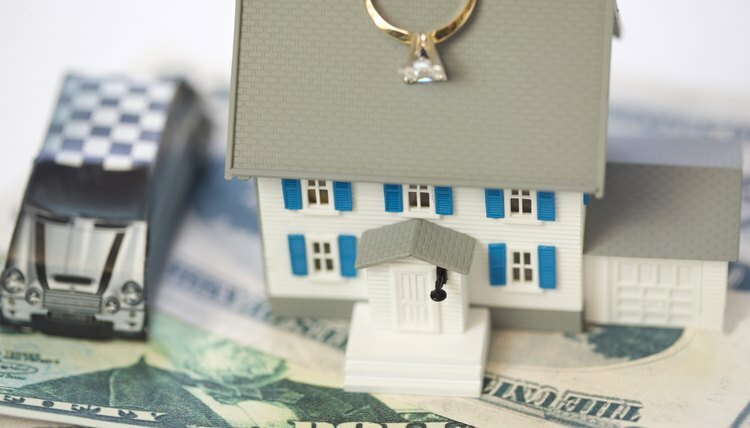 North Carolina courts consider several factors before dividing marital property, including the length of the marriage, your ages and health, other support obligations, the contributions each spouse made to the marital property, and the earning capacities and financial situations of the parties. The court does not follow a specific formula to automatically decide how property must be split. Rosen Law Firm: North Carolina Divorce: When Are We Legally Separated?